Badgerland Plumbing, LLC is a family-owned and operated plumbing company located in Hartford, WI. As a full service residential and commercial plumbing company, you will find our experienced, fully-equipped plumbing professionals are able to handle all of your residential and commercial plumbing services. To satisfy the needs of both new and existing customers, our management team works to ensure our product offerings include the latest plumbing innovations and services provided compliment feedback from the community. We hope to hear from you when it comes time to service any fixture in your home or business. Just call our friendly staff at (262) 623-7009 so we can begin to show you what a true Hartford plumbing service is all about! If you are searching for a professional, licensed plumber then look no further! 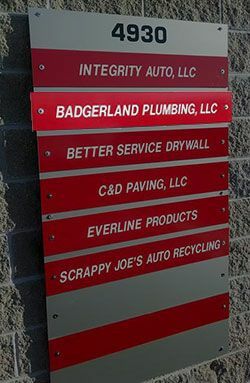 Badgerland Plumbing is proud to provide commercial and residential plumbing services throughout the Milwaukee area. If your home or business is in need of plumbing service and is located in or around Slinger, Hartford, West Bend, Jackson, Germantown, Menomonee Falls, Cedarburg, Grafton or Mequon then simply call Badgerland Plumbing. You will find our friendly staff is ready and willing to serve all of your Hartford plumbing needs – just give us a call at (262) 623-7009. We can’t wait to hear from you! Jarad did a wonderful job removing our old sump pump and installing a new one. He also installed a new facet on the washtub which was hard plumbed. We are very happy with his work and would hire him again or recommend him. Very good experience! Replaced a drain pipe quickly at a very reasonable price. Needed help with insulation afterwards, and could not assist me, but was informative on next steps.